Most surveyed companies and offices are based in Europe (63 %) followed by 40 % in North America and 7,4 % in Asia. Out of the total responses, most participants of the survey had the role of founder (65,9 %), CEO (50,4 %) CTO (18,5 %) and COO (1,5 %). 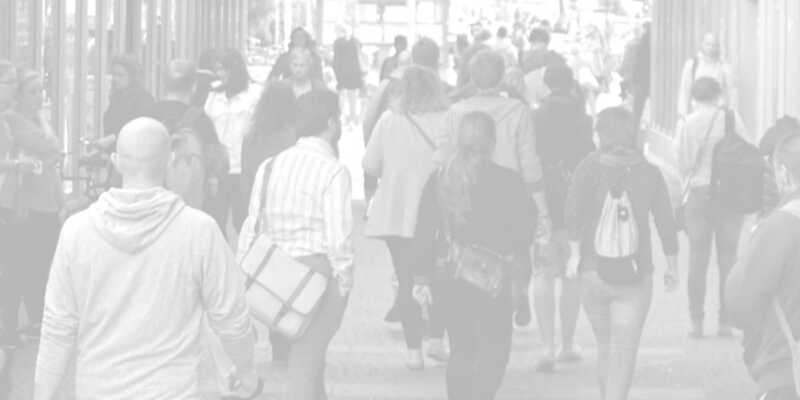 A little over 30 % of the respondents stated that their company existed for over 14 years, followed by almost 20 % of the companies who’ve existed between 10 - 11 years. 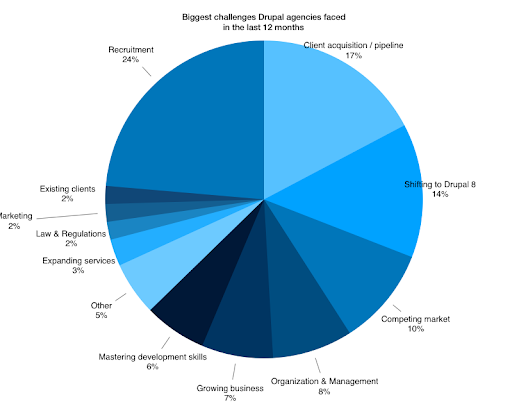 60 % of the companies who filled in the survey have just one office, with 19,3 % two offices. Over the last couple of years, Drupal has undergone major changes. For one, Drupal 8 was released. 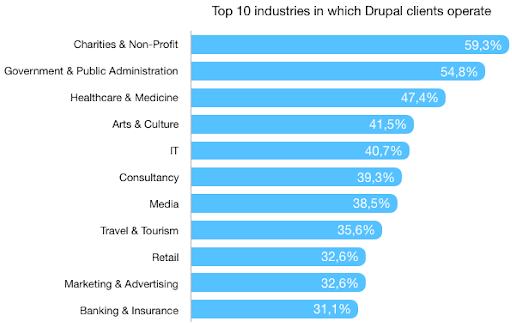 Also, Drupal starts to play more and more a role as the backend for headless or decoupled CMSs, Drupal is evolving towards an API-first platform and is competing head to head with proprietary platforms like Sitecore and Adobe Experience Manager. 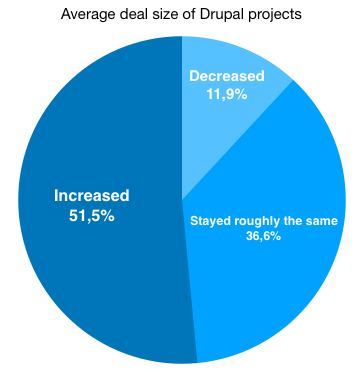 Dries Buytaert, founder and project lead of Drupal, states on his blog: ‘These kind of growing pains are not unfamiliar and one of the key reasons that Drupal has been successful is because we always made big, forward-looking changes. 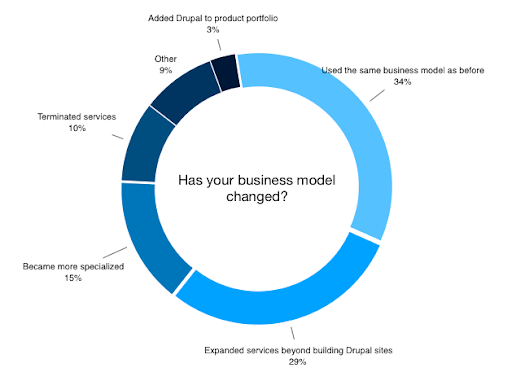 And as a result Drupal is one of very few CMSs that has stayed relevant for 15+ years. We see a way to keep innovating while providing a smooth upgrade path and learning curve from Drupal 8 to Drupal 9.’ Right now, the DA works with united forces to make future Drupal upgrades smoother and much simpler than previous upgrades with faster releases with easy upgrades and a smoother learning curve.